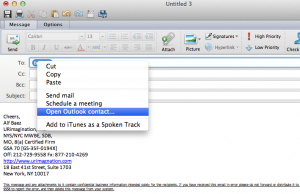 Outlook 2011 How to remove unwanted addressed on autofill | URimagination, Inc.
Start/Create new message and start typing the address to be edited or to be removed. then select it. Or by selecting the address field. Once the address field is selected a “-” icon indicating a delete option will show up. 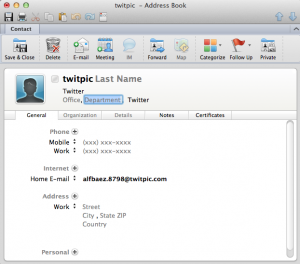 So just click on it and remove the individual email or web address for the contact. 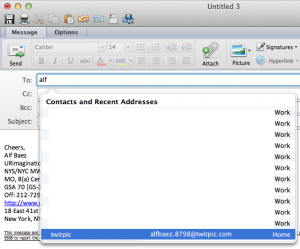 Or with this second option you’ll be able to just edit the contact addresses. If the intention is just to correct something that Outlook mix-up just make the necessary changes and make sure you click “Save & Close” at end. Enjoy it and have a great day…. feed and comments are always welcome….